Unit Weight - 2,790 lbs. Lifting Capacity - 1,075 lbs. Width - 41" / Length - 100.7" W/Smooth Bucket / Height - 53.2" / Ground Clearance - 6"
Hinge Pin Height - 81"
Reach Forward Fully Raised - 24.5"
Trailer is Needed For Transportation. Rented Separately. 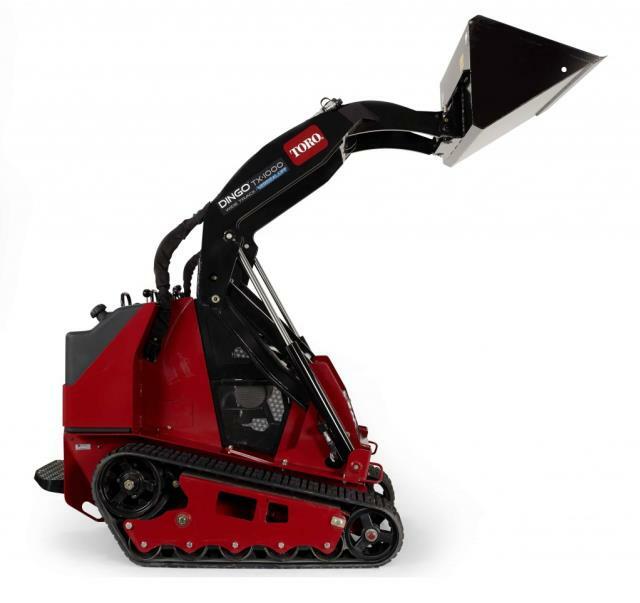 Additional Attachments Available For Additional Fees > Breaker Attachment, Post Hole Digger Attachment 9" - 30" Bits Avail., Tooth Buckets, & Fork Attachments. 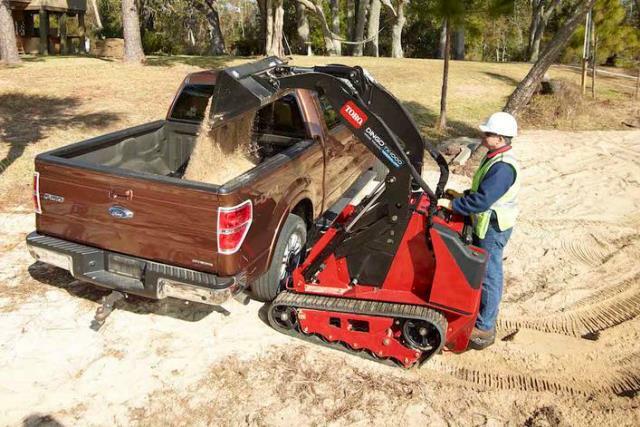 * Please call us for any questions on our dingo loader w/bucket ride on wide track rentals in Hagerstown MD, Williamsport MD, Martinsburg WV, Waynesboro PA, Mercersburg PA metro areas.